To deliver accurate particulate matter information to citizens, a detailed particulate matter dispersion model including factors such as land use and meteorological information was developed and used to create particulate matter concentration distribution maps for Daejeon Metropolitan City (South Korea). 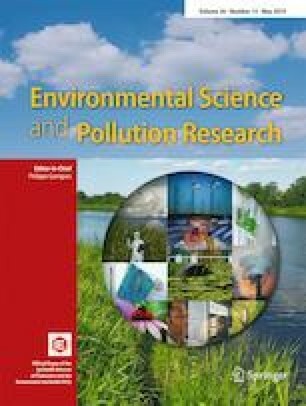 The results showed differences from existing particulate matter concentration distribution maps created using established methods. For PM2.5, approximately 3600 concentration maps were constructed. Taking a map as an example, according to existing methods, the PM2.5 concentration was “good” in 56% and “moderate” in 44% of areas. However, according to our modeling, the PM2.5 concentration was good in 31%, moderate in 26%, “unhealthy” in 28%, and “very unhealthy” in 15% of areas. Furthermore, the existing methods indicated that no portion of the population was exposed to poor particulate matter concentrations, while the proposed model found that over 170,000 people were exposed to such concentrations. These results will contribute to sustainable urban and environmental planning. This study was funded by the Korea Environmental Industry & Technology Institute (KEITI) under grant number 2016000200009 and conducted by the Korea Environment Institute (KEI).